As mentioned in one of my pieces, I am a sucker for inspiration. But today, I must say that I also am a film enthusiast. Hollywood has managed to set the bar high for the concept of ‘make believe’ and they keep on pushing that bar higher and higher. The amount of detail involved matched with the absolute and utter devotion to quality of the acting, directing, art direction, scores, editing, visual effects, make-up, costume, cinematography and the screenplays are nothing short of breathtaking. Millions of dollars are invested to make sure that, during that time, one’s mind, body and soul is completely and utterly lifted into this new place and time and when it is done, there is good feeling you get afterwards. That’s the feeling of where one has been ‘entertained’. However, the local cinema in Nigeria, popularly known as ‘Nollywood’, although, roughly about 2 decades or so old, so technically an infant industry, in its own right, such is not the case. The industry is highly output rich but quality poor. This is because, the Nollywood model is, shoot the film guerilla scale on a shoe string budget, rush the post production, press as many copies as can be and on to the next one. So, in essence, there is little or no time for these wonderful stories to be showcased in a manner of quality. Despite this, the industry has managed to position itself amongst the top three film industries in the world in terms of film output, next to Bollywood (Indian Cinema) and of course Hollywood. Granted films filmmakers like Chineze Anyaene (IJE: ‘The Journey’) and Kunle Afolayan (‘The Figurine’) had started making strides in the quality and cinema worthy department, Biyi Bandele (Director and Playwright) decided to get his head out the box and challenge the status quo even further of making films the ‘Nollywood’ way. 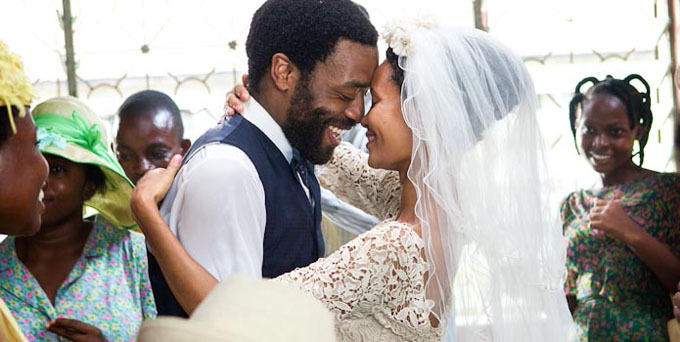 He adapted Chimamanda Ngozi Adichie‘s award-winning novel called “Half Of A Yellow Sun” into a film, with production that took take place in Calabar (Nigeria) and London. The film was made with a budget of about 8million dollars (sourced from local and foreign investors, with a the larger chunk from local), with an international cast crew, both local and foreign. The significance of what Biyi did to the Nigerian film industry is that, there now exists a template or a precedent whereby it was possible for these rich cultural stories to be told, by the Nigerian storytellers I should add. But, to be done with technically proficient hands and on a level that will allow these stories a level playing field with its Hollywood counterparts (which is the Magna Carta Holy Grail for film standards). His defiance of the Nollywood model has paid off because it was just recently announced that the film had been selected for a world premiere at the Toronto International Film Festival (TIFF). Why is the significance of TIFF to a film? TIFF, over the years, has become one of the most influential film festivals in the world. Their unique selling point is that because their festival bows during fall, they are at the forefront for generating Oscar buzz for films, hence in 1998, Variety noted that after Cannes, TIFF was the next film festival that attracts high profile stars, pictures and market activity. But by 2007, TIME magazine declared that TIFF had “grown from its place as the most influential fall film festival to the most influential film festival, period”. Hence, Hollywood studios and independent filmmakers look forward to TIFF to present their films in time for Oscar season. Films like Argo, Slumdog Millionaire, American Beauty, Ray, The Wrestler, 127 Hours, The Kings Speech, Silver Linings Playbook, Black Swan, Money ball, Crash all premiered at the festival and went unto make splashes at the Academy Awards as well as the box office. With Argo ($232m box office), Slumdog Millionaire ($377m box office), American Beauty ($356m box office, Crash ($98m box office) winning for Best Picture at the Academy Awards, with the rest more or less being nominated for Best Picture as well as being nominated and or winning in other Academy Award categories. So, in essence, he got his head out the box, challenged status quo and now his work is standing alongside amongst the best of the best on a global stage (Believe me, the line up this year, is basically the who is who of cinema, well, including him now). Below, Aljazeera’s talk show host, Redi Tlhabi speaks to the Executive Producer (Yewande Sadiku) and the Director (Biyi Bandele) of ‘Half Of A Yellow Sun’ on her show- South to North. The conversation covers issues of the films casting, financing and also Nollywood in general. A fascinating watch indeed. Yewande particularly inspired me because she sounded authentically Nigerian but authentically educated, poised and confident (taking away that silly way of thinking, that the Nigerian tongue must be altered when speaking with foreigners) watch it here. And as well, this is the trailer for Chimamanda Ngozi Adichie‘s award-winning novel called “Half Of A Yellow Sun’ here. Ojie Imoloame: Put Simply, I am a dreamer, a pure dreamer and my aim is to get my dreams to reality. Beautifully written! One movie i’m definitely looking forward to…….